Gordon Freeman can’t catch a break, can he? He miraculously repels an alien invasion by himself in the first game, and all he gets is a lousy “re-assignment” after 20 years in stasis. He comes back to life in time for the events in the second game, in a world where humans are now friends with the same aliens he just did away with?? What?? All he wanted to do was show up for work, theorize the hell out of some physics, then go home. Bailing the world out twice was not a part of his itinerary! Half-Life 2 isn’t all that different than the first one in terms of gameplay. You still start with next to nothing in your inventory, solve physics-based puzzles to proceed, working your way through one big, interconnected area that brings you to all corners of the game world. City 17 seems to have been inspired by post-Chernobyl Pripyat, except not nearly as abandoned. In fact, I’d even go so far as to say that the area surrounding the Citadel is one of the most alive and life-like environments we’ve ever seen in gaming. I don’t talk about graphics much on this blog, because they’ve never really been all that important to me. Still, the graphics in this game blew my mind. The lighting is just right, and it manages to complement the characters’ fear and anxiety quite nicely. Whether I was fending off hordes of Combine forces in broad daylight or taking a hovercraft ride at sunset, I was always awestruck at how good the game looked. Even on the original Xbox, which was my first experience with the game, it looked amazing. The game has some pretty epic gunfights, but the true beauty of Half-Life 2 lies in the puzzles it throws at you. Though you can use the Gravity Gun to pick up almost anything to use as a weapon, it also helps you through some of the predicaments Gordon finds himself in. Near the end of the game, it becomes even more powerful, and you can really wreak some havoc within the walls of the Citadel. I can’t sit here and describe everything that makes Half-Life 2 and its two episodic sequels so great. All I can do is encourage anyone and everyone to go out and play it. 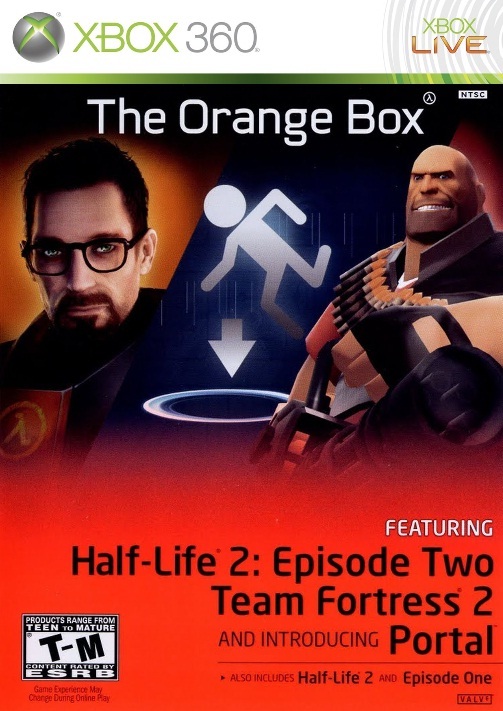 The Orange Box has all three Half-Life 2 games, along with Portal and Team Fortress 2 on one disc! Do it up! No stories about vomiting this time around… sorry. I technically got this game for PC in April of ’04, a full seven months before it was even released. Unfortunately, I had no way of playing it! It wasn’t until its release for Xbox in November of ’05 that I finally got to play Half-Life 2 for the first time. In early 2004, I went looking for a high-end video card before I even owned a PC to install it in. I didn’t have much expertise in looking around online for that sort of thing, but my friend Tyler directed me to a site called NCIX.com, which had an insane amount of video cards to choose from. 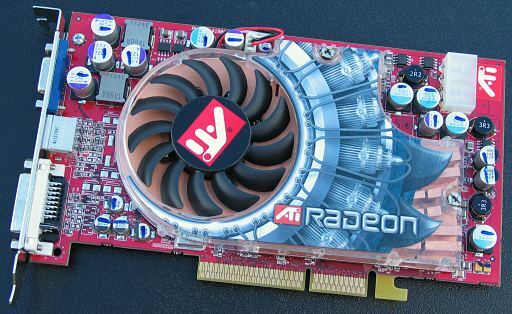 Naturally, I chose the beefiest-looking one of the bunch, the 256MB ATI Radeon 9800XT. Of course, it was also the most expensive one on the entire site, so I had to own it. $700 later, it was on its way! I eventually bought a PC to put it in, and since I didn’t really know how to get the video card all hooked up, I got one of my sister’s more computer savvy friends to do it. I might have been able to figure it out, but I figured I’d leave it up to someone who knew what they were doing. Greg… or was it Craig? It was one of those situations where, no matter how many times we asked the guy’s name, we just could not remember it. To this day, we’re still not sure what his name is. Anyway, Greg\Craig hooked up my video card, and he was evidently jealous at the awesomeness of it. He kept talking games with me, and had taken the liberty of installing Soldier of Fortune II and the first Call of Duty game. They were cool, I guess, but I really bought the PC to play some racing games, as well as Medal of Honor: Allied Assault. The other two, I’d probably be deleting pretty soon! Greg\Craig also mentioned that the video card came with a voucher to download Half-Life 2 on Valve’s brand new gaming service called Steam. Whoa. That was an amazing idea, but… damn. I only had a 56k modem to work with at home, and there was no way a 2GB download would work on a connection that slow. I would still be able to enjoy games the only way I ever knew how, which was to buy it and install it with the software provided in the box. Anything I’d ever really want to play would probably eventually be released for consoles anyway. I was fine with that, because streaming games online was a bad idea. It’d never work! Expensive, but it lasted quite a while. I definitely got my money’s worth before it started melting on me.